World's leading polar expedition operator and market leader, Oceanwide Expeditions, freshly released dates & rates for Antarctica 2012/13 being first on the market with an exciting schedule aboard the modern, comfortable and ice strengthened polar vessel m/v Plancius. For reservations before 01 October 2011 there is a 5 % "early booking discount" on most of the departures in place, except some selected trips in high season. Oceanwide Expeditions offers a total of thirteen back-to-back voyages, an exhilarating mix of different polar itineraries which suit everybody's time, budget and special interest. 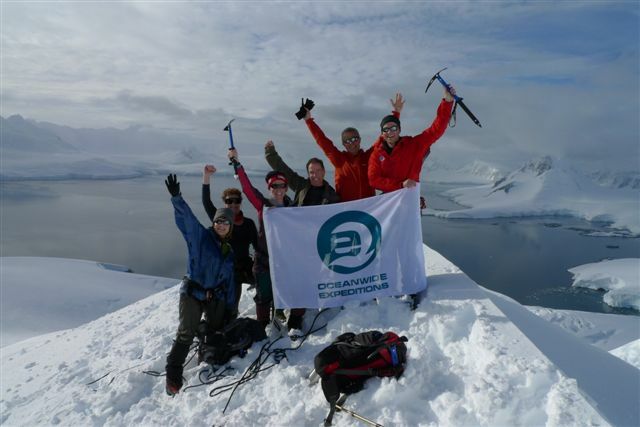 Oceanwide has added an extra "Basecamp Plancius" multi activity voyage due to great success of this new concept in the first season. Two "Basecamp Plancius" departures will now be available (November 2012 & March 2013). During "Basecamp Plancius" departures all offered activities (including camping, kayaking, hiking/snowshoeing, mountaineering, photo workshops as well as standard shore excursions and zodiac cruises) are free of charge. Special acitivity scuba diving is supplemented. Passengers don't have to worry about bringing equipment, it is all available on board and can be used free of charge. A number of photo workshops across the season are powered by the company "Leica", renowned manufacturer of cameras, lenses and binoculars. As part of the photo workshops an expert from "Leica" will assist participants on board to achieve better photo results with their equipment. Next to free activity offers during "Basecamp Plancius" there are also some voyages with supplemented activity packages on offer for those, who wish to benefit from exclusive and progressive travel experience in small groups. Further details are laid out in dates & rates and day by day programmes. Looking for a cutting edge alpine ski expedition? Oceanwide will offer an optional package to cross South Georgia on the historical footsteps of Sir Ernest Shackleton from South to North during the exclusive South Georgia itinerary in October 2012. Oceanwide Expedition's innovative itineraries lead to the Antarctic Peninsula, Falkland Islands and South Georgia. The season starts in Montevideo on 17 October 2012 and ends in Ushuaia on 29 March 2013. The final repositioning voyage across the South Atlantic from Ushuaia to Ascencion and further on to Cape Verdes will shortly call at the Northern tip of the Antarctic Peninsula before the vessel commences her way up North stopping at remote islands of South Georgia, Tristan da Chuna, Gough Islands, St. Helena and Ascencion. Oceanwide Expeditions greatly appreciates continuous support in promoting polar voyages aboard "Plancius". Winner of the 17th Annual World Travel Awards 2010 in the category "World's Leading Polar Expedition Operator"